Sleeping hot on Memory foam and need a Latex Mattress Topper. Home → Mattress Protectors → Danican Waterproof Mattress Protector → Sleeping hot on Memory foam and need a Latex Mattress Topper. 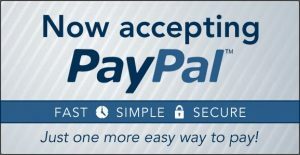 I purchased a 2 inch memory foam mattress pad and I have a waterproof mattress cover also. My sheet are more that large enough they just won’t stay on my bed at night. What can I do? Neither the flat nor fitted will stay on my bed. The memory foam mattress pad and the mattress cover on top does not help. I have rheumatoid arthritis scoliosis of the spine degenerative disc and I had a total right hip replacement in 2014. I am disabled and have applied for disability. I can’t get any relief I go from the bed to the heating pad when I get up I am in pain 24/7. I am looking for a latex topper. what do you think? My mattress is only 2 years old and it is a memory top and I can’t turn it over. I also sweat in the bed all night. My Partner can’t hardly sleep with me because of the sweating and I turn all the time, as I can’t sleep on my right side that I had the hip replacement on. I have lost weight and I am very fragile at this time. The waterproof mattress protector, I have, also makes me hot and sweaty. Please help what do you think about the latex toppers for you bed? When you go shopping, salespeople talk about memory foam as though it were the best thing since sliced bread. They do so because there’s lots of money to be made and not because it’s any good…because it isn’t. And, like countless others, you’ve come to realize, too late, that memory foam isn’t any good. Memory foam is the only upholstery material that is temperature sensitive. It absorbs your body heat, it softens as it warms, and then reflects that heat back to you. It is, without question, thee worst upholstery material ever invented. Solving your problems, is fairly easy and relatively inexpensive. 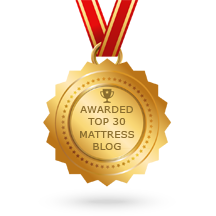 Get rid of your mattress protector and your memory foam topper. Both are worthless. Replace them with a latex topper and a waterproof mattress protector that sleeps cool. Your mattress is topped with memory foam, which is supported by high density poly foam. 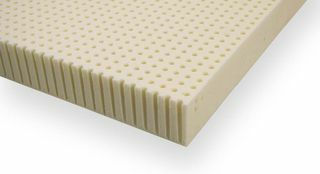 The poly foam is firmer and is NOT a temperature sensitive material. I suggest flipping your mattress over, before adding the latex topper. Doing so will provide your body with better support. The latex topper provides the comfort. To keep sheets from sliding around, go the Bed Bath & Beyond and pick up something that is specially made for this. They are plastic tubes, about 2″ to 3″ long…and they have a slit along one side. They come in a package of 4. They secure your sheets to the tape edge of the mattress. (Obviously, I’ve forgotten what they’re called). These steps will solve all of your problems. Your arthritis will be properly comforted, you’ll sleep cool, and your sheets will stay in place. Protect your investment with high quality, Waterproof Mattress and Pillow Protectors that sleep cool and won’t shrink.